Enclosure consists of a 40 foot shipping container insulated with foam and lined with aluminum sheeting, with a waterproof ¼ inch thick spray-on polyester floor coating, and two large roof pop-outs for extended height pilot equipment. 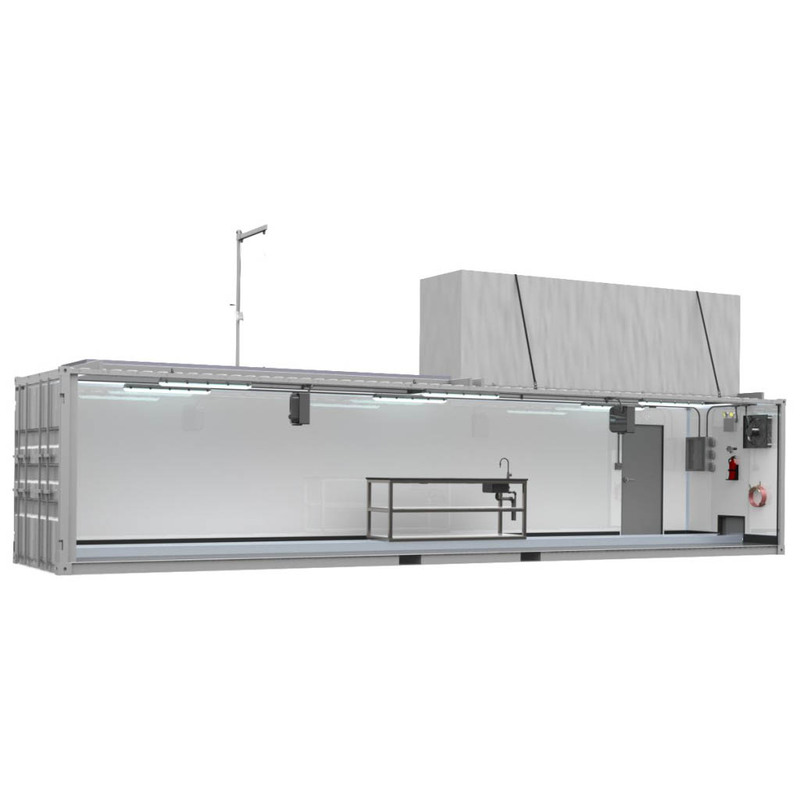 It also includes an entry/egress door, ventilation fan, wet location lighting, two 5kW electric heaters, a power distribution panel, emergency lighting, an enclosed piping corridor with fiberglass grating cover, and a laboratory bench with sink. Ozone gas concentration inside the container can be read from outside, and an unsafe concentration of ozone inside the container will trigger the external alarm beacon. The enclosure has space for 2-3 Intuitech pilot modules.